"We're Fanatical about Saving You Money with Coupons!" 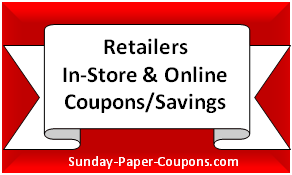 Sunday Paper Coupons (also known at Couponing Fanatics), provides 1000's of free coupons and free couponing resources. If you want to learn how to coupon, already know how to coupon and just want to get all of your free coupons from one source, need to brush up on your skills, or simply need access to our free resources... Welcome! 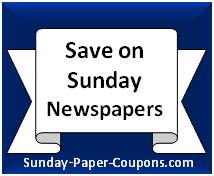 What are Sunday Paper Coupons? 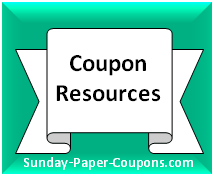 They are the coupons that are found in most Sunday Papers in the form of folded inserts. 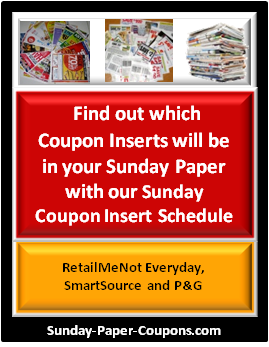 These inserts are called Coupon Inserts, and these inserts are provided by three sources: SmartSource(SS), RetailMeNot Everyday (RMNE) (formerly RedPlum) and Proctor and Gamble - P&G(PG). The number of inserts that are provided each week varies, and can vary by Region/Location. 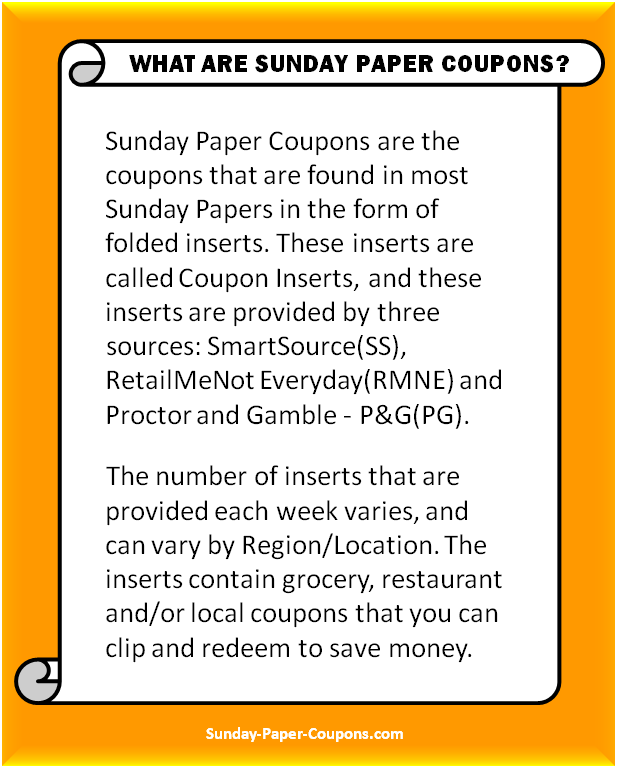 The inserts contain grocery, restaurant and/or local coupons that you can clip and redeem to save money. 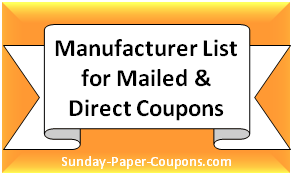 Tons of free Printable Coupons, Cashback Coupons and Digital Coupons, plus a listing of over 200 Manufacturers to request Free Coupons by Mail. 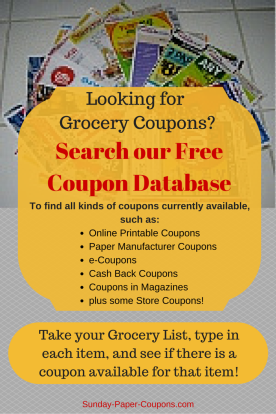 Use our Free Online Coupon Database to easily locate any available coupon. 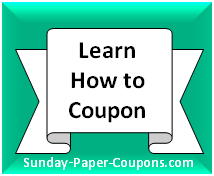 An easy-to-understand "How to Coupon" course, so that you can get started couponing today! You've heard many people say that "I don't coupon because it takes too much time." Well, that depends on how far down the rabbit hole you're willing to go. If you want to do "basic" couponing, then it will not take much of your time at all, and you will still save a significant amount of money. Basic couponing has a basic formula. The formula is: Purchase an item on Sale (preferably) + Use a Coupon = Savings. That's It! If you don't have time to learn anything beyond that, then you don't have to. With this formula, you will still save a lot of money each year! The 2019 Sunday Coupon Insert Schedule gives you an advanced look at the coupon inserts that will be in the upcoming Sunday Paper. Our "Best Time to Buy..." Listings let you know the peak times to purchase at the best price and/or when the product is in Season. The "Free Coupon Inserts" insert page has ideas for several ways to obtain Sunday Paper Coupons and Coupon Inserts absolutely free. The Grocery Coupon Policies, Grocery Loyalty Programs and Weekly Grocery Ads pages contain direct links to the Grocery Store Chains. This section is filled with additional resources. Retail discounts, such as cash back deals, percentage discounts and coupon codes. 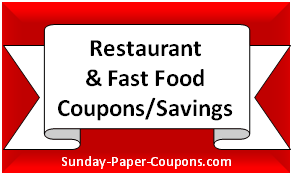 Restaurant Coupons and Fast Food Coupons, plus ongoing deals at other establishments (like convenience stores) that do not require a coupon. Ways to get your Sunday Newspaper at discounted prices. Whether you need one paper, or multiples for the Sunday paper coupons, there's no need to pay newsstand prices! Don't want to spend time clipping your own coupons? We've got places that will do it for you! There are lots of savings and free resources, so bookmark this page, and start saving! you can search for and find coupons by Name, Manufacturer or Category. If you have or are preparing your Grocery List, use it to check for available coupons for each item on your list. We also provide a listing of Coupon Lingo; as well as pages that teach you how to use Cashback couponing apps, such as Checkout 51, ibotta, SavingStar. Also take a look at the answers to some of Couponing's FAQs. Save money with our in-store Retail Coupons and online Retail Coupons. 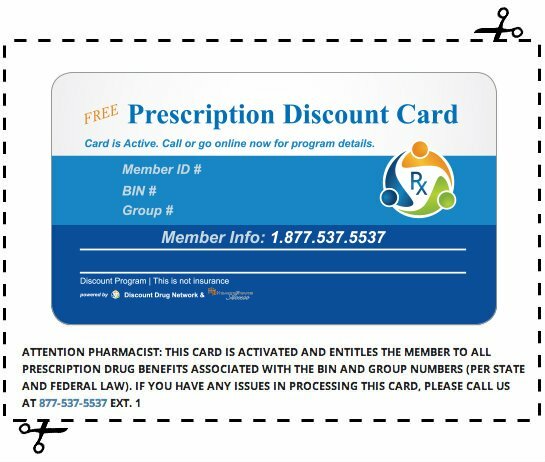 We provide dollar-off coupons/offers; percentage-off coupons/offers; discount coupon codes, as well as card-linked offers/coupons! Access discounts and coupons from Restaurants, Fast Food Chains, Coffee Shops, Donut Shops, Ice Cream and Confectionery Shops, Gas Stations, Convenience Stores and more! Are you paying full price for your newspapers to get extra coupon inserts? 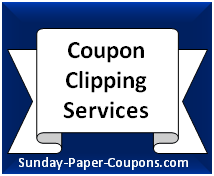 If you don't have time to clip your own coupons, or you simply need more of a particular coupon anytime, then checkout these Coupon Clipping Services that do the work for you! "I still want to save money on groceries, but I just don't have the time to clip weekly coupons! Do you have any suggestions for a person like me?" Purchase your groceries when they are on Sale. Groceries have "sales cycles," so watch your store's weekly flyer for sales. Shop at stores that offer BOGOs - Buy one, get one free. But be certain that these are actually a deal. Because at some stores, these prices are still higher than if you purchased the item at Walmart. Try the Cashback Couponing Sites like Checkout 51, ibotta and SavingStar. No coupon clipping is required! You simply check the list of grocery items on their sites (Note: some of the apps will have you complete a minor task), then upload a copy of your store receipt as proof that you purchased the item(s). They'll put cash into your account and when you reach a certain amount, then you can cash out. Instead of clipping coupons each week, when you have your Grocery List ready, simply visit our Coupon Database and type in each item on your list to see if there is a coupon available. Then you can instantly print an online coupon, or clip a paper coupon from your stored Sunday Coupons before you head out to the store. 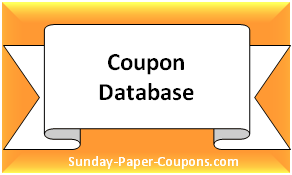 The Coupon Database tells you which Sunday Paper coupon insert the coupon is in - for instance, it will say SmartSource 10/27/19.